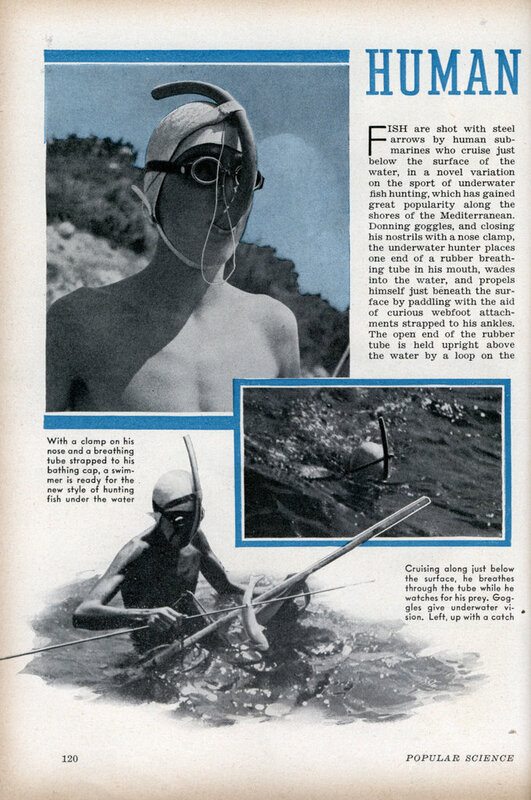 forehead of his bathing cap, permitting the submarine angler to breathe easily as he stalks his prey with a curious weapon similar in some respects to a medieval crossbow. Aimed and discharged like a gun, the weapon comprises a long wooden shaft along which is stretched a strong elastic cord made of a woven fabric. 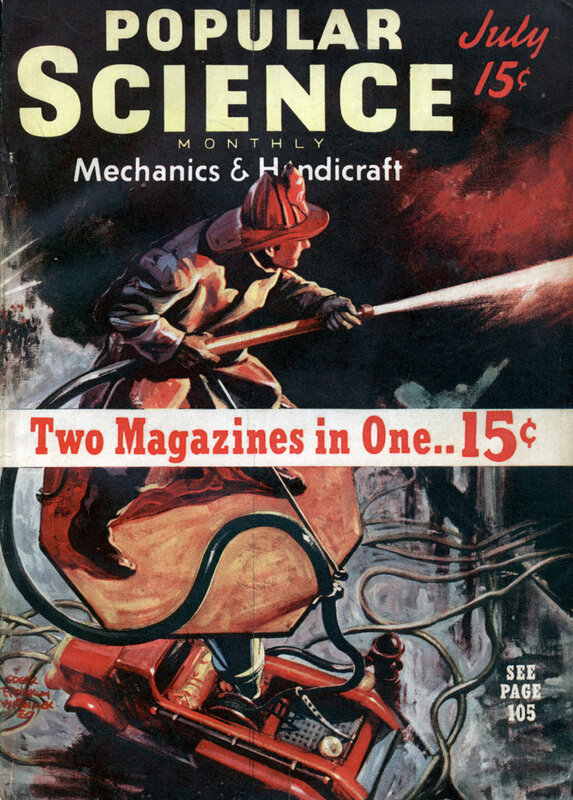 This is held in cocked position by a special trigger device. A slender steel spear, thin as an arrow, is then put in place in such a way that the elastic, when released by the trigger, will drive the slim missile through the water accurately and with tremendous force and speed. Photographs on these pages show various phases of this unusual form of hunting fish under the water.